"This doctor is a true find and clearly a notch above all others in his field." "Dr. Altchek is excellent. He is super efficient and precise. I highly recommend him." Dr. Altchek’s office is located on the Upper East Side in the heart of Manhattan, NY. Dr. Altchek is dedicated to the complete care of the skin, the early detection and cure of skin cancer, the care of aging skin, and the relief of suffering from skin disease. Dr. Altchek is a renown dermatologic surgeon with expertise in skin resurfacing, laser, microdermabrasion, fillers and wrinkle treatments. He is also an expert in difficult to diagnose and treat dermatologic conditions and tropical diseases of the skin. Dr. Altchek believes “the skin is the mirror of life” in that it reflects all of health. The philosophy of the office is to help all in need of skin care, and in doing so, promote better health. Dr. Altchek attended Quaker schools, Friends Seminary, Friends Academy, and the University of Pennsylvania, where he majored in English literature further diversified his education by studying medicine at the at the Complutense University of Madrid. He then trained in surgery and dermatology at Mount Sinai. He is currently Clinical Professor of Dermatology and the archivist of the Department of Dermatology at Mount Sinai. Dr. Altchek has taught dermatologic surgery at Mount Sinai for over 30 years. He practices out of the oldest, continuous dermatology office in Manhattan (in operation since 1929) and is a member of the United Nations Medical Corps. He is frequently consulted in tropical dermatology. At one time, he had the largest Hansen’s disease practice in the city. Fluent in Spanish, French, Portuguese, Italian, and Catalan, Dr. Altchek also reads Hebrew and Old English. He has published a variety of papers and book chapters dealing with hair transplantation, skin tumors, eczema, and the history of dermatology. Several of his publications were in Spanish and Portuguese and have appeared in international publications and texts. 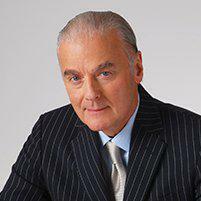 He has lectured both in this country and abroad on subjects ranging from forensic dermatology to tropical dermatology. Q. From a dermatological point of view, what should travelers know before going to a tropical climate? A. The greatest danger to the skin is overexposure to the sun. The severity of a sunburn correlates with the risk of developing kin cancer later. Aside from sunburn, the tropical traveler should take precautions against insect bites and exposure to numerous bacterial, fungal, viral and parasitic diseases. Q. What are some of the specific skin disorders you’ve seen in patients returning from the tropics? A. I’ve treated returning travelers for scabies, creeping eruption, myiasis (botflies), sand fleas (also called chiggers or jiggers), tinea veriscolor (a superficial fungus), bacterial infections and contact dermatitis caused by a range of parasites from caterpillars to fire ants. Q. How commonly do you see tropical diseases in New York City? A. Because travel to exotic areas is widespread today, tropical diseases are common. According to the American College of Dermatology, at least 10% of travelers to the tropics develop skin problems. It is not unusual to see tropical diseases in New York City, because the majority of exposed patients develop symptoms after returning, or they may wait until their return before seeking care. Q. Are tropical disease difficult to treat? A. Most skin diseases contracted in the tropics can be treated rapidly and effectively with oral medications when parasites are the cause and with topical lotions for most causes of fungus. Dermatologists might need to surgically remove parasites, as in the of botflies. Q. What Specific precautions should one consider when packing for a tropical vacation? A. Protective measures should include sunscreen with SPF 50+ and, depending on the destination, such items as mosquito netting, protective clothing, insect repellent for skin and clothing, and always common sense. Also, don’t forget about protection from sexually transmitted diseases. Just because you are on vacation, it doesn’t mean you have to take unusual risks. Dr. Altchek accepts most major insurance providers. "This dermatologist is a gem and the last of a breed. He is one of the country's brightest dermatologists." "If you are on this site to find the best dermatologist, I would like to tell you that Dr. Altchek is the doctor for you!" "What a relief to see someone who knows what he's doing and addresses your problem quickly and efficiently. He is a terrific dermatologist!"